We love these shoes. Not only are they super cute, but they smell so good! I know that's a weird thing to say, but they smell like the Strawberry Shortcake dolls of my youth. 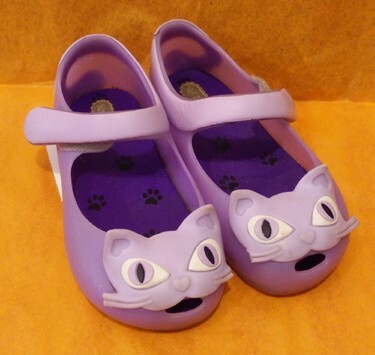 I love the design of these shoes, espically the cat faced shoes! Check out some of the shoes we have on the floor right now!